The New Hampshire Society of Medical Assistants expects its members to ?render service with full respect for the dignity of humanity.? As a medical assistant in the state, you?ll have ample opportunity to practice this tenet on a daily basis. Job growth in the state is expected to be strong, and median salaries are higher than the national average. Those who are interested in becoming a medical assistant should be prepared to seek certification, as many employers require it. Learn more about what to expect from medical assisting education in New Hampshire, as well as salary, employment trends and more. Medical assisting is a good foot in the door for those looking to start a career in the health care industry. After earning a degree or certificate, graduates work in physician offices and hospitals, helping with patient exams and taking care of back-office work. Before beginning a program in the field, be sure to do your research so you can find the program that’s right for you. We’ve done some research for you, taking a look at tuition rates, student services and other important factors to determine which New Hampshire schools offer the best programs. 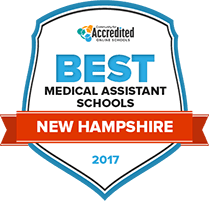 We present you our 2017 Best Medical Assisting Schools in New Hampshire. White Mountains Community College's medical assistant certificate program is the shortest of the school's two medical assisting programs. It takes about half the time to earn the certificate as it takes to earn the Associate of Applied Science in Medical Assisting. To graduate, students must demonstrate practical understanding and expertise in topics like medical terminology, pharmacology techniques, human anatomy, clinical procedures, medical billing and coding. In core classes and biology, students need to keep a C+ grade to continue to advance through the training program. To graduate, students must also pass a background check. Manchester Community College's medical assisting associate's degree emphasizes clinical training. Core or technical and general education courses make up the curriculum. Students also have electives that they can register for to expand and deepen their overall learning. The associate's program is comprised of 64 credits. At the one year medical assisting training level, there is the 26 credit certificate. Lab work is built into each semester. A practicum seminar must be taken during the second year of the degree option. Both programs are accredited by the Commission on Accreditation of Allied Health Education Programs post receipt of a recommendation from the Medical Assisting Education Review Board. How does New Hampshire define "medical assistant"? In New Hampshire, medical assistants are considered unlicensed personnel. Nursing statutes in the state define unlicensed assistive personnel as " an unlicensed individual who functions in a complementary role to the licensed RN or LPN in providing patient care." Keep in mind that medical assistants can also provide assistance to physicians. Though certification is not required by New Hampshire law, many employers prefer it. Certification proves that the applicant has a minimum amount of skills and knowledge concerning the tasks that might be necessary for a medical assistant; this means that the employer will likely have less burden of training for that certified person, which is always an advantage. Those who choose to obtain one of the certifications below can do so through one of the accrediting agencies also listed below. Formal education is not technically required by New Hampshire law; however, those who choose to become certified must first complete a training program that prepares them to sit for the examination. Formal education and training is available through a variety of schools in New Hampshire. Are there tasks outside the scope of medical assistants in New Hampshire? 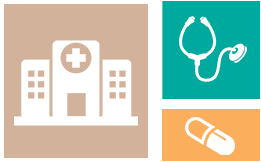 Though there is no firm listing of what medical assistants can and cannot do in the state of New Hampshire, there is one usual caveat, which is that they cannot perform any task for which a license is required. For example, a medical assistant cannot write prescriptions, as a medical license is required for that particular task. Medical assistants in New Hampshire enjoy a median income that is higher than that of the nationwide average. More details are included below. The salary for medical assistants varies widely, depending upon many factors. These might include years of experience, certification, expertise or specializations and training. Geographical location also matters, as can be seen in the chart below. Some areas of New Hampshire offer higher median wages than others. Medical assistants can expect to see relatively high job growth in New Hampshire from 2012 to 2022. An annual average of 80 jobs will open up during that time. Here is more information on employment trends in the state. For a window into what medical assisting schools are available in New Hampshire, see our list of spotlight schools. In addition to being ready to sit for the Certified Medical Assistant exam, students attending the medical assisting program will have opportunities to take electives and general education courses for an enhanced education. Manchester Community College offers an associate?s degree in medical assisting that can be completed in two years. Students who finish a medical assisting program will have learned various clinical procedures and administrative tasks such that they will be ready to sit for the Certified Medical Assistant national certification exam. Students can receive either a medical assisting associate?s degree, which is about 71 credits, or a medical assisting certificate, which is about 55 credits. This Labor Market report on medical assisting in New Hampshire offers in-depth insight into what graduates can expect from working in the state. The Nurse Practice Act of New Hampshire outlines the scope of practice of nurses, including tasks they may delegate to unlicensed assistive personnel, such as a medical assistant. The New Hampshire State Society of Medical Assistants is the New Hampshire branch of the AAMA and works to promote the goals of the AAMA, such as helping medical assistants network and improve the quality of care provided by AAMA certified medical assistants.